You might not know it from all the panic-inducing headlines out there, but Android is actually packed with powerful and practical security features. Some are activated by default and protecting you whether you realize it or not, while others are more out of the way but equally deserving of your attention. So stop wasting your time worrying about the Android malware monster du jour and which security company is using it to scare you into an unnecessary subscription, and take a moment instead to look through these far more impactful Android security settings — starting with the core elements and moving from there into some more advanced and easily overlooked options. Unless you (or someone else) inadvertently disabled it at some point, this first feature should be up and running on your Android phone already — but it's worth double-checking to make sure. 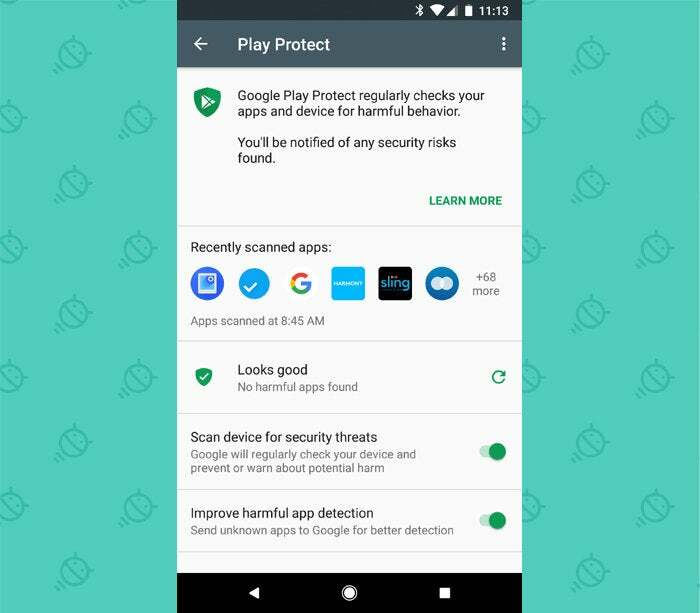 Google Play Protect is Android's native security system that, among other things, continously scans your phone for any signs of misbehaving apps and warns you if anything suspicious emerges. You can confirm Google Play Protect is working on your device by looking in the Security (or Security & Location) section of your system settings. Tap the line labeled "Google Play Protect," then make sure all the toggles are activated and everything shows up as being active. Whether you've simply misplaced your phone around the house or you've actually lost it out in the wild, always remember that Android has its own built-in mechanism for finding, ringing, locking, and even erasing a device from afar. Like Play Protect, the Android Find My Device feature should be enabled by default. You can make sure by heading into that same Security section of your system settings and tapping the line labeled "Find My Device." Double-check that the toggle at the top of the screen is turned on. As long as you're able to sign into your Google account, you'll be able to pinpoint your phone's last known location on a map and manage it remotely within seconds. Find My Device is a fantastic resource to have — but in certain situations, you might get a missing phone back even faster with the help of a fellow human. 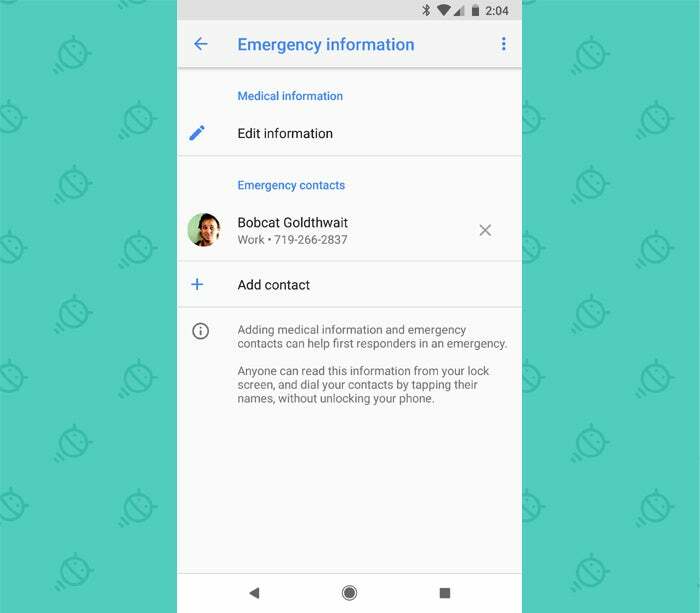 Give people a chance to do the right thing by adding an emergency contact that can be accessed and dialed with a few quick taps from your lock screen. Go to the Users & Accounts section of your system settings, then scroll all the way down to the bottom until you see a line labeled "Emergency information." If you don't see the option there, look instead under the System section of your phone's settings. There, try tapping "About phone" and then "Emergency information." Either way you get to it, tap that option and follow the prompts to add an emergency contact — a close friend, family member, significant other, random raccoon, or whatever makes sense for you. The only challenge is that the emergency contact info isn't exactly obvious or easy to find on the lock screen — go figure — so anyone who picks up your phone may not ever notice it. That message will then always show up on your lock screen — and as an added bonus, if there's ever an actual emergency, you'll be ready for that, too. Security is only useful if you actually use it — and given the extra level of inconvenience it often adds into our lives, it's all too easy to let our guards down and get lazy after a while. Android's Smart Lock feature is designed to counteract that tendency by making security a teensy bit less annoying. 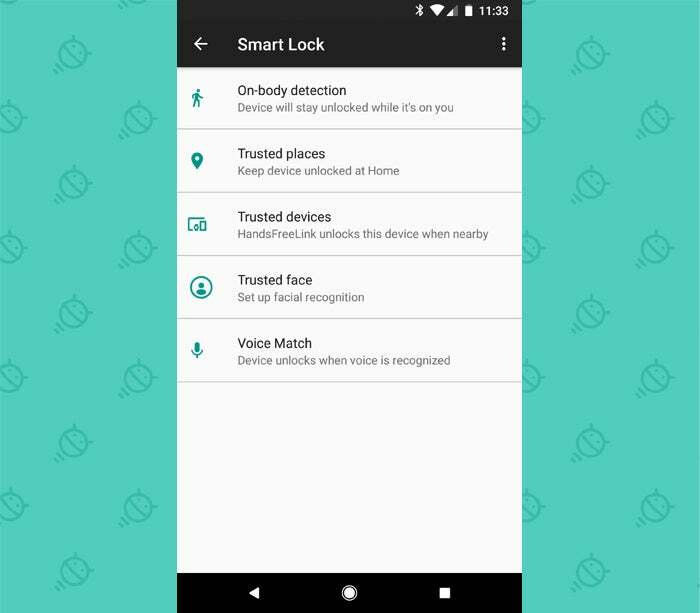 It can let you automatically keep your phone unlocked whenever you're in a trusted place — like your home, for instance — or whenever you're connected to a trusted Bluetooth device, like a smartwatch or your car's audio system. This is technically a Google account feature and not specific to Android, but it's very much connected to Android and your overall smartphone security picture. You know what two-factor authentication is by now, right? And you're using it everywhere you can — especially on your Google account, which is probably associated with all sorts of sensitive data? If you aren't, now's the time to start. Hustle over to the Google section of your phone's system settings, tap "Google Account," and then scroll over to the "Security" tab. Tap "2-Step Verification" and follow the steps to set things up. For most people, I'd recommend using the Google prompt as the default method, followed by an authenticator app. For the latter, you'll need to download and set up an app like Google's own Authenticator or the more flexible Authy to generate your sign-in codes. It'll add an extra step into your sign-in process, but this is one area where the minor inconvenience is very much worth the tradeoff for enhanced protection. 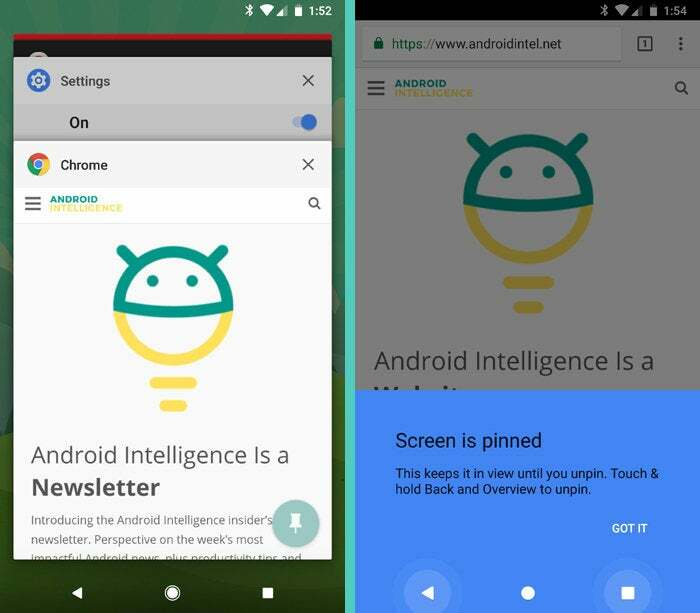 Chrome is the default Android browser — and as long as you're using it, you can rest a little easier knowing it'll warn you anytime you try to open a shady site or download something dangerous. Chrome's Safe Browsing mode is enabled by default; you can confirm it's working on your phone by looking in the Privacy section of Chrome's settings and seeing that the box next to "Safe Browsing" is lit up and checked. Data debacles like the one connected to Facebook earlier this year are powerful reminders of how important it is to keep track of the access you've granted to apps over the years. Facebook had the ability to monitor and log calls and messages because, plain and simple, people gave it that ability. And it's not the only app that's asked for and been granted long-ago-forgotten levels of permission. The good news, though, is that Android makes it incredibly easy to pull up common system permissions and see which apps have access to them. From there, all it takes is a single tap to take an app out of the list and cut off its access entirely. Follow the steps here to check up on your device's app permissions and make any necessary adjustments along the way. 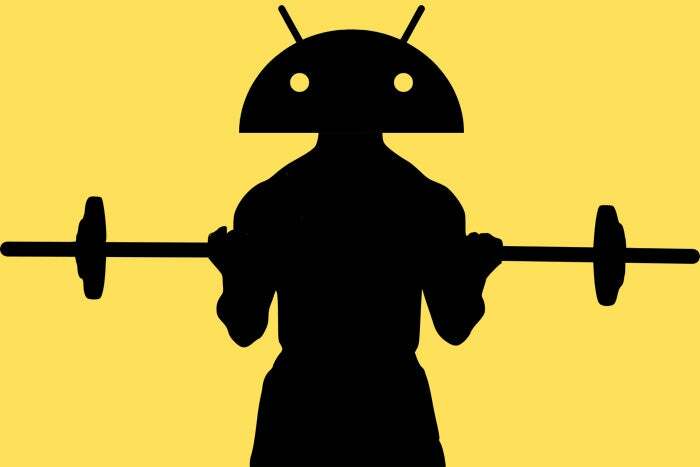 One of Android's most practical security options is also one of its most hidden features. I'm talking about screen pinning — something introduced way back in 2014's Lollipop era and rarely mentioned since. Screen pinning makes it possible for you to lock a single app or process to your phone and then require a password or fingerprint authentication before anything else can be accessed. It can be invaluable when you pass your phone off to a friend or colleague and want to be sure they don't accidentally (or maybe not so accidentally) get into something they shouldn't. To use screen pinning, you'll first need to activate it by opening that trusty ol' Security section in your main system settings and then finding the line labeled "Screen pinning." (You'll probably have to tap a line labeled "Advanced" in order to reveal it.) Turn the feature on and also make sure the toggle to "Ask for unlock pattern before unpinning" is activated. Now, the next time you're about to put your phone in someone else's hands, if your device is running Oreo or lower, first hit the Overview button — the square-shaped icon next to Back and Home — and then push the on-screen cards up as high as they'll go. Tap the pushpin icon in the lower-right corner of the bottommost card, and your most recently opened process will then be locked to your screen. After that, you'll have to hold the Back and Overview keys together and then unlock your device before anything else can be accessed. 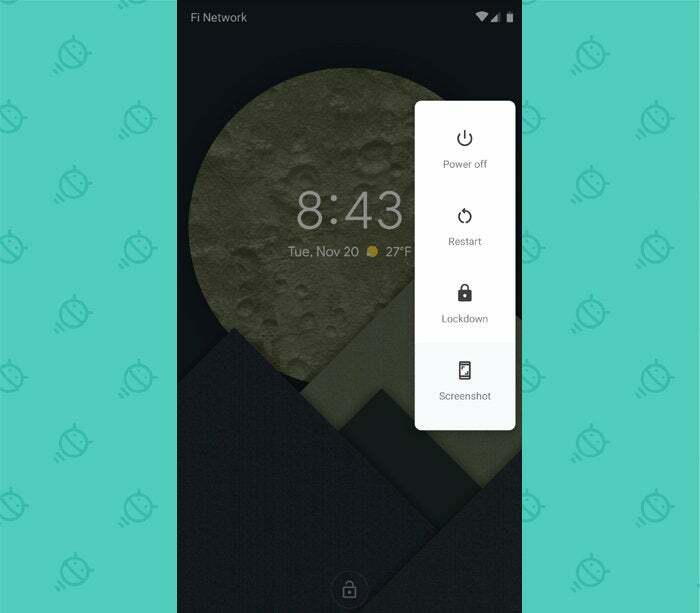 Starting with Android 9 Pie, things are a bit different: You'll still begin by opening the Overview screen — either by pressing the square-shaped button or by swiping up on the pill-shaped button, if you're using Google's new gesture navigation system — but then, you'll tap on the icon above an app's card and look for the "Pin" option there to lock that app to your screen. You'll then hold the Back and Home keys together in order to unpin it and unlock your device. Speaking of locking your phone, Android typically shows notifications on your lock screen by default — which means the contents of messages you receive might be visible to anyone who looks at your device, even if they can't unlock it. If you tend to get sensitive messages or just want to step up your security and privacy game, you can restrict how much notification info is shown on your lock screen by opening "Lock screen preferences" within the Security section of your system settings. The first option in that menu, "On lock screen," lets you control precisely what is and isn't shown in that pre-authentication area. If you're using Android 9 Pie, a new option called lockdown mode is worth your while to investigate. Once enabled, it gives you an easy way to lock down your phone from all biometric and Smart Lock security options — meaning only a pattern, PIN, or password can get a person past your lock screen and into your device. The idea is that if you were ever in a situation where you thought you might be forced to unlock your phone with your fingerprint or face — be it by some sort of law enforcement agent or just by a regular ol' hooligan — you could activate the lockdown mode and know your data couldn't be accessed without your explicit permission. Even notifications won't show up on your lock screen when the mode is activated, and that heightened level of protection will remain in place until you manually unlock your phone (even if the device is restarted). The trick, though, is that you have to enable the option ahead of time in order for it to be available. To do so, provided you're using Pie, gallop back into the Security section of your system settings. Tap "Lock screen preferences" and then activate the toggle next to "Show lockdown option." Now, if the need ever arises, remember this: While on your lock screen, press and hold your phone's power button for a second or two. There, along with the regular options for restarting and shutting down your device, you'll see a new option labeled "Lockdown." With any luck, you'll never need it. But it's a good added layer of protection to have available, just in case — and now you know where it is and how to use it. Now that you've got your Android security settings optimized and in order, take 10 minutes to perform an Android security audit. It's an overall checkup I've created for the state of security on both your phone and your broader Google account — and it's well worth doing at least once a year. The best part of this checkup? It's completely painless — and unlike with most preventative exams, removing your pants is entirely optional.